Sleat, Isle of Skye. IV44 8RE. 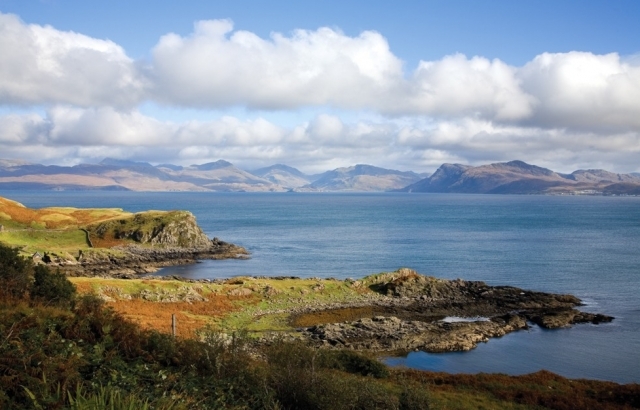 Skye is Good for the Soul offering a real escape as an outdoor adventure playground for hiking, biking and mountain climbing, wildlife and whisky. Visitors travel here from across the globe from Asia to the United States to experience the dramatic scenic landscape, the freshest seafood, ancient castles and friendly Hebridean welcome. Toravaig House offers a peaceful location, just a short drive from the Ferry terminal at Armadale or the Skye Bridge, along the southern Sleat peninsula, the perfect base to explore the island. This is a small Boutique Hotel with just nine bedrooms – named after Scottish Islands - which have all been recently refurbished with a smart, chic decorative style. Each is individually designed, with soft fabrics in shades of mushroom, sand, grey, green, to reflect the natural landscape, sea-loch, moors and mountains all around. The Lounge is where guests gather for afternoon tea or drinks before and after dinner – with its roaring log fire and glamorous, soft velvet sofas and armchairs. On warm summer days, there is a patio decking area with tables and chairs in the garden beside its sweeping lawns. Dinner at the Iona Restaurant is prepared with artistic skill by Head Chef Miles Craven who presents an inventive, modern menu celebrating seasonal, island produce – venison, cod, rainbow chard and hand dived scallops, fresh vegetables, foraged mushrooms, farmhouse cheese and whisky-soaked Berries. With lobster caught nearby at Knock Bay, relish shellfish from crate to plate. Talisker Whisky and Skye ales are suggested as the perfect pairing for food to showcase a true taste of Skye. The hotel owners, Anne and Ken Gunn have a beautiful yacht, “Solus a Chuain” which is available for pre-arranged day trips – exclusive for hotel residents - for a memorable day out to tour the stunning coastline with its marvellous wildlife and painterly views. Private charters for a special event can also take place on board – sailing around with a celebratory lunch on this luxury yacht. It is the spectacle of land and seascapes which attracts tourists as well as film directors. The Isle of Skye has been the setting for several blockbuster movies in recent years - Flash Gordon, Highlander, Prometheus, Made of Honour – et al, with set jetters flocking here to visit famous screen sites – Fairy Glen, the Cuillin, Neist Point, Dunvegan, Old Man of Storr and the awe inspiring rock formations at Quiraing, Trotternish featured in numerous films such as Macbeth, King Arthur and Stardust. Winner of the Romantic Hotel category (SHA 2017), Toravaig, is an intimate country house perfect for a small wedding (2 – 26 guests) – your bespoke ceremony and reception will be planned with personal care. 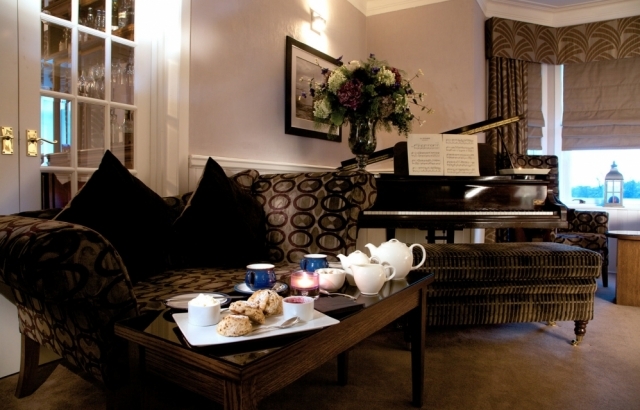 Alternatively, enjoy a relaxing hideaway for two, whatever the occasion. What could be more perfect than a fun day out in the salt sea air, perhaps spotting a glorious sunset, then return to Toravaig to experience fine hospitality - a Misty Isle gin, delicious gourmet dinner and a nightcap dram by the fire. The new Torabhaig Distillery is currently being build right beside the hotel which will be a major visitor attraction. 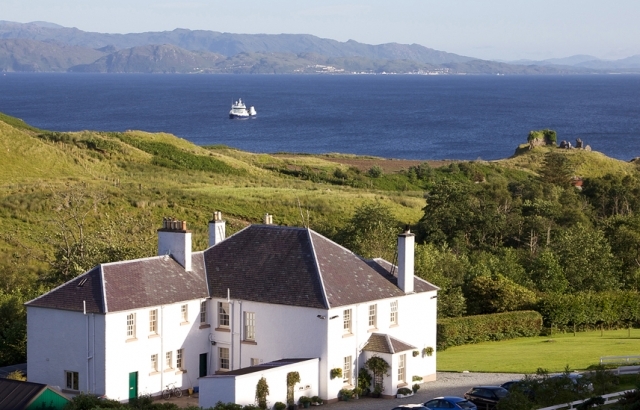 Whether you are planning an active sporting adventure or a foodie, whisky tasting tour, Toravaig House will is a charming place to stay, eat and drink.